This whole thing is starting to get serious. The Igbo's are getting restless since the arrest of of Nnamdi KANU and now they think he is being tortured and to ae killed by the DSS . The Indigenous people of Biafra said that Nnamdi is really sick and needs medical attention. The cabel reports..
“Information getting to us now is that the director of DSS and Buhari are planning to kill some Igbo-Biafrans working for the DSS in other to secretly execute Nnamdi Kanu,” it alleged in a statement published on its website “Biafra Herald,” on Thursday. 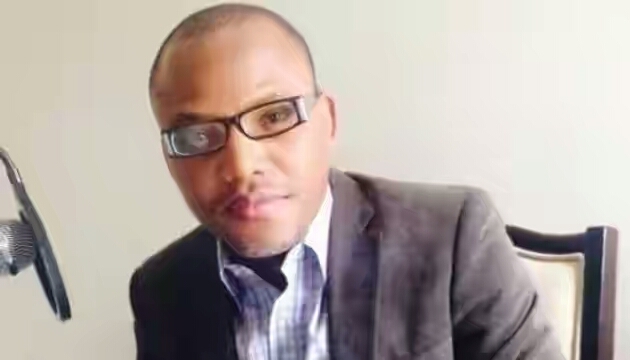 “For months now reports have been coming to us on how Nnamdi Kanu is been tortured in the dungeon of the DSS. Nnamdi Kanu is reported to be very ill and needs urgent care and treatment but the DSS on the order of Buhari have refused to grant him any treatment. “Some Igbo-Biafrans who are members of the DSS have expressed their displeasure towards the treatment of Nnamdi Kanu, this resulting to Buhari and the director of DSS secretly plotting way to murder them. This information got to us is from a very reliable source and our advice to Buhari is to release Nnamdi Kanu, and also to stop torturing him because any harm done to him, will result to a war Nigeria can’t handle. The DSS could not be reached for an official reaction to the allegations.